TFI Envision Takes Top International Summit Emerging Media Award | TFI Envision, Inc.
Portland, OR — The Summit Emerging Media Award (Summit EMA), began in 2007 and evolved through a need to recognize and celebrate creativity, innovation and those pushing the bounds of creative excellence in all forms of emerging media. 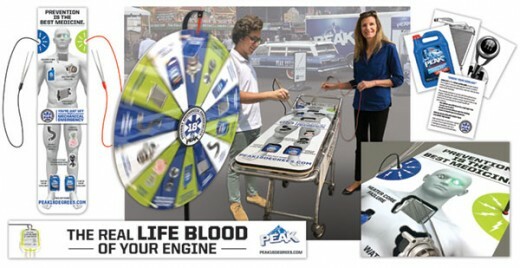 TFI Envision, Inc. was selected as a Leader Award Winner in the 2018 Summit Emerging Media Award competition for the PEAK® Coolant Medical Campaign NHRA Track Activation Program. 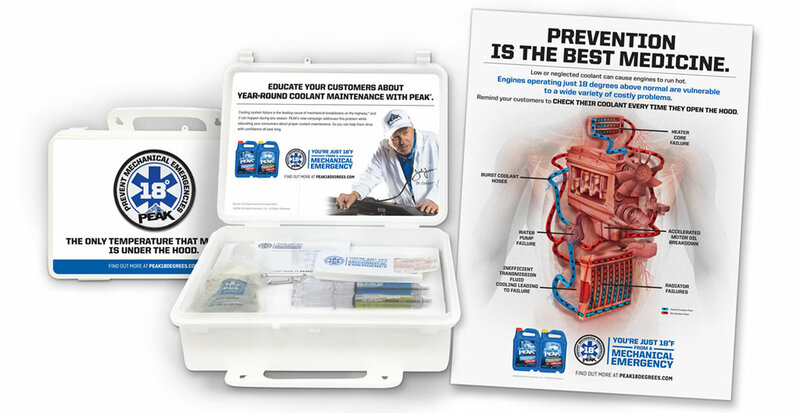 TFI Envision, Inc. was tapped by Old World Industries to bring to life the PEAK® Coolant Advertising Campaign “You’re just 18 degrees from a Mechanical Emergency” to educate countermen, consumers and automotive tech students on the consequences of neglected coolant, including a :30 sec Promo Video, Sales Launch Kit, an 18 x 24” poster and at Track Activation materials. 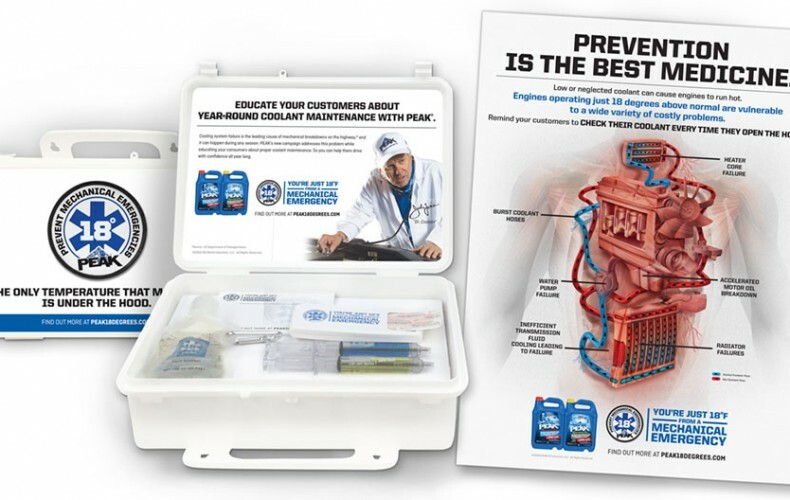 The campaign also garnered a MARCOM award for excellence in marketing and communication.